The official Star Wars website made our day, and we have to say thanks. 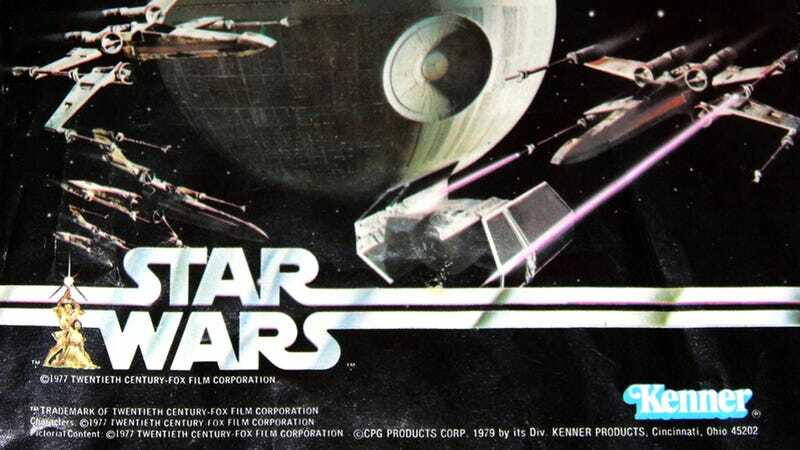 StarWars.com posted an article full of vintage Kenner Star Wars toy commercials, and they’re just about the best thing ever. It’s easy to forget just how formative these toys were not just for Star Wars fans, but for both the toy industry and movies in general. And these ads were a huge part of many, many people’s childhoods. And yet seeing these commercials, it all makes sense. They’re no-nonsense, unabashedly cheesy, and some (like the Emperor and Boba Fett ones) even tease a first look at characters that fans didn’t know about yet. Imagine watching TV and seeing not just a Star Wars toy commercial, but one that includes your first look at a new villain? The pop culture world today would stop in its tracks. Thirty years ago, you called your friend on the phone or maybe talked about it in school. Then patiently waited months and months to get the toy, and maybe find out more. Here are just a few more commercials. Seriously, we could watch these all day. And thankfully you can. 12Back on YouTube has over ONE HUNDRED of these. Kiss your productivity goodbye, and visit them at that link.